I buy websites on Flippa, and it is always difficult to figure out whether the site is actually worth the price. When scouting a potential investment website, you want to know if it will lose rankings, whether it is banned from AdSense, or has many bad links. Add to this that 50% or more sellers want to SCAM you, or are hiding important info. Thus, investing in websites becomes a VERY risky business venture. However, the good news is that most scams are easy to spot if you look closely and pay attention to important details. If you are thorough, you actually can make money on Flippa! Here is my video review of some obvious but very deceptive scammers who went as far as making a Fake Adsense Earnings Proof Video (some actually made a fake Adsense dashboard). When a seller claims income from Adsense, Flippa offers a mechanism to verify that income “belongs” to the specific website. In theory this cannot be faked, and you should see a green line on the Earnings graph inside the listing. I still go further, and ALWAYS ask sellers to provide additional screenshots of last 30, 90 and 365 days site reports, that highlight Revenue, Page Views and RPM tabs, and show 3 line on the graph. If a seller claims income from AdSense, but it’s not verified, you should probably avoid this website, and move on. Sure there are exceptions. For example my $10,000 website purchase – seller was using original site creator’s AdSense account AFTER he bought it … However he still managed to verify it with Flippa. 2) Always request Google Analytics access! It is absolutely essential to have complete (read and analyze) Google Analytics access from the time you contact the seller to the time you finish transaction (and preferably that seller makes you Admin after sale is completed, to retain old data). NEVER, NEVER, NEVER Buy Websites Without Google Analytics Access (if available). I never buy sites unless I’m given Analytics access. If the seller refuses to give access – they are hiding something. NEVER buy such sites. If the seller agrees to give access after some back and forth, they could be a newbie, but you should still consider that they are hiding stuff. I never had luck with such sellers, and never ended up buying from them. Another tip: ff the seller gives you access to google analytics only for 24 hours or revokes access without telling you – don’t buy from them. It is VERY easy to fake Amazon income because of POOR reporting system by Amazon. When I say “poor” I mean it’s not designed for site sales. Amazon reporting is based on Tracking IDs, which can be used on multiple websites. For example – seller claims $500 monthly income from Amazon Affiliate program. In reality, the site can be making only $100/month, because the same link (Tracking ID) is used on other websites, thus inflating income. PRO TIP: Do a reverse search on Amazon Associate ID, using http://analyzeid.com. You can search the domain name, Amazon ID, AdSense PUB ID, etc. Do as much cross-research as you can, to make sure Amazon Income is not fake. For example – search Google for dpsgeneral-20. You will get the AnalyzeID in 1st position. It is a paid service, but you can use it free (I clear cookies to continue using for free 🙂 ) … However I find this is the best such service available (and most accurate), so if you do this a lot – consider upgrading. dpsgeneral-20 belongs to problogger.net and is also used on 3 other websites. So if one of those was for sale, seller could claim income from 4 sites. You get the gist … bottom line – Amazon income is easy to fake and you should spend extra time analyzing it. Moreover, since new Amazon affiliate rates go into effect on March 1, 2017 (which will result in 10-40% drop in incomes), I would not pay more than 10-15 multiple for a website earning primarily from Amazon. 1) Screenshots can be Photoshop’ed Never trust screenshots exclusively. It’s very easy to fake any image, and make it look very realistic. Always ask for additional proof of income (video walk-through preferred). In most cases, scammers don’t even need Photoshop. It can easily be done with browser “inspect element” tool, by changing page’s HTML code, to look the way you want it!!! Here is how changing the report’s numbers makes it look like the site is making much more money, than it does, using inspect element. Note, “inspect element is built into nearly every browser. In some cases, scammers can even do it on a mobile phone (although it’s a massive pain in the a$$). This took me just 5 minutes, to make it look like I earned $18,987.66 instead of $87.66. PRO TIP: Never trust screenshots – they are VERY easy to manipulate. Always request a Skype screen-share to verify earnings! If a seller gives you lame excuses – don’t waste your time, just walk away, as it’s 99% a scam! 2) If you feel that seller is hiding something or there is something fishy – WALK AWAY – If it smells bad, it probably is bad, and you should not lose money to find out if it’s in fact bad! There are too many sites out there to deal with bad sellers / websites, etc. The reality is that most sites that are on sale on Flippa are junk! Be very careful making a buying decision. 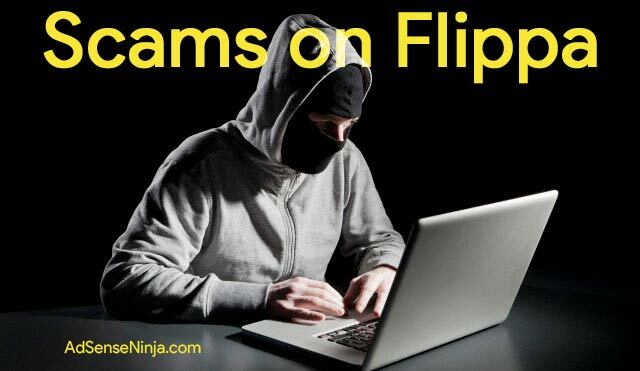 – Many sellers on Flippa are scammers. – Never trust any seller or buyer, even if they have 100% positive feedback. – Most sites on Flippa are complete garbage (overpriced, crappy, etc). – Always look for reasons NOT TO BUY a website. This is the only way to get good deals. I speak from experience of having skin in the game – as of now I’m in for almost $50,000, and am always looking to buy more. However, it’s become increasingly difficult to find a good website to invest in. Once you weed out all the bad sites, most decent ones are now overpriced because so many new investors are getting into the game and are paying outrageous multiples. 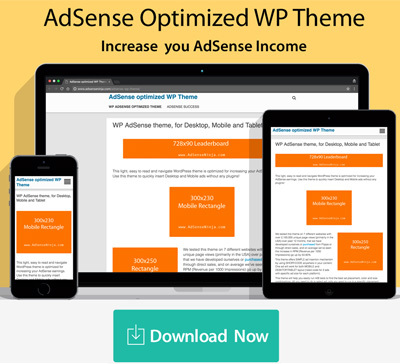 – provide high resolution screen shots of Adsense site report for several periods, such as last 30, 90 and 365 days, where revenue and page views lines are clearly visible, and where you can also see the domain. – contact the seller to get access to Google Analytics to verify traffic. If seller refuses, its an instant red flag. 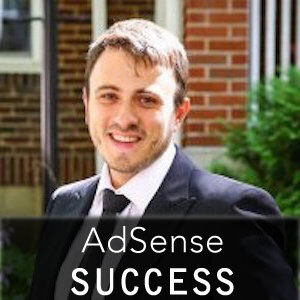 – if a website makes money on programs other than Adsense, seller should provide clear and verifiable proof of income. he should have a screen share over Skype to verify income sources and amounts. I would still be critical of these. My preferred website type is monetized with Adsense. Best of luck and don’t loose your money! Great advice. The faking of Amazon profit is a great point that never crossed my mind before. How would you check the amazon ID? Have a video call and check the registered websites/tracking ID’s in their Amazon account? Andy, http://analyzeid.com is the best tool I’ve found, that works 80% of the time. You can search by domain, Amazon Associates ID, etc, and spend some time on cross-search. Definitely search ALL ids they’ve given you, to see which sites it’s used on. However, this is still not 100% reliable, because I’m not sure how good AnalizeID’s database is. Good luck – let me know how your deal goes. Thanks I will check AnalizeID out! Hey Leo, good insight! Wouldn’t have thought about the possibility to fake Amazon revenue. What do you think about ivynames.com for selling/buying domains (not websites) ? First, I’ve never heard of IvyNames, but that doesn’t mean anything. Domains by themselves don’t make any income, and you have to hustle to find buyers. It’s also very competitive now. I have a friend who does domains, but to say the least he’s be pretty unsuccessful (as far as making money on it). So – i am not saying to not use IvyNames. My position is that domains is not a good business for 99.999% of people. Buying websites is much more profitable in my opinion.